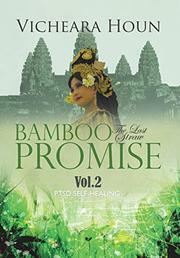 A survivor of Cambodia’s Killing Fields chronicles her journey toward recovery in this sequel. In the first volume of her autobiography, Houn (Prison Without Walls, 2012) described the horrors of her native Cambodia under the genocidal Khmer Rouge regime, during which she lost her entire family and was subjected to starvation and forced to work as a slave laborer. This second installment shares her later experiences as she absconded to Thailand and eventually immigrated to the U.S., all the while wrestling with the terrible demons of trauma. PTSD, she writes, is “an invisible war. It is my past doing battle with my present. The trauma of this war has wounded my soul.” After her escape, Houn ended up in a refugee camp in Thailand, where she met Meng, a “man with Chinese eyes and thin lips” who introduced himself as a distant cousin on her father’s side. After she moved in with him, she endured another nightmare as Meng, a brutal alcoholic and womanizer, tormented and emotionally abused her. “Men can do anything they want,” he told her. “A man is gold, nothing sticks. A woman is like a white cloth, everything sticks.” In this vivid and disturbing account, Houn is unsparing in her detailing of what became her second marriage. After one suicide attempt, she was unable to answer when a doctor asked her, “Why did you harm yourself?” She reasoned: “What would happen if I told the truth? My husband would hurt me more or he would mock and laugh at me until I went mad.” In the U.S., a conversation with a co-worker whose son, an Army veteran who served in Iraq and Afghanistan, suffered from PTSD left her frozen in fear: “I knew I had PTSD!! !” Houn deftly describes how she found recovery through a combination of acupuncture, massage, meditation, and Reiki therapy. “I have found that the first person I had to forgive was myself,” she discovered. “I was a blameless victim of forces much greater than myself.” The volume could have dispensed with the somewhat stilted observations of a psychologist that conclude every chapter. But overall, Houn provides a valuable addition to the literature of PTSD survival. This worthy memoir provides a chilling account of the abusive relationship that the author fell into after she fled to Thailand.